In Finding Success in the Horoscope, Jackie Slevin introduces her twelve-step technique of chart interpretation that focuses on identifying and enhancing an individual's potential for success. Using the Midheaven as her starting point, Slevin explains how the planets in aspect to the Midheaven describe our path to success - what we need to do to succeed and what the journey will be like. In addition to outlining the application of her system, she also includes sample charts of famous politicians, scientists, authors, and more, to illustrate her points. She provides a brief biography of each individual and details the influences in their chart to show how planets and aspects translate into character traits and events. 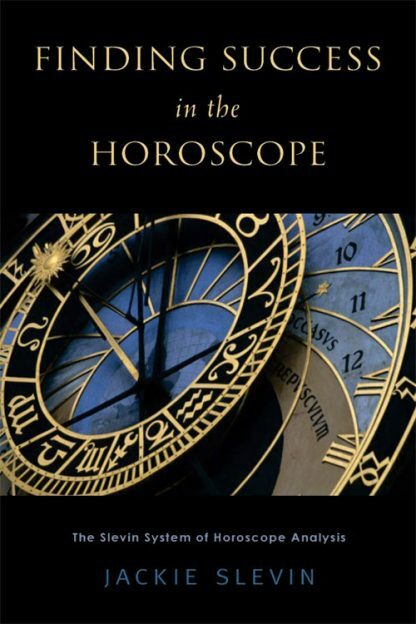 Accessible to both the new student of astrology and those at the professional level, Slevin's writing is full of humor and engaging metaphors. Her new system of interpretation is sure to be of interest to anyone seeking to understand their own astrological potential for success.